Alia Shawkat & Co. can't let the mystery be in a new season that's not about the search for answers anymore — it's about keeping a secret. “Search Party” ended its first season in a completely unexpected spot. The group set up to be saviors — or at least the only people who cared about Chantal, a young New Yorker gone missing — turned out to be killers. 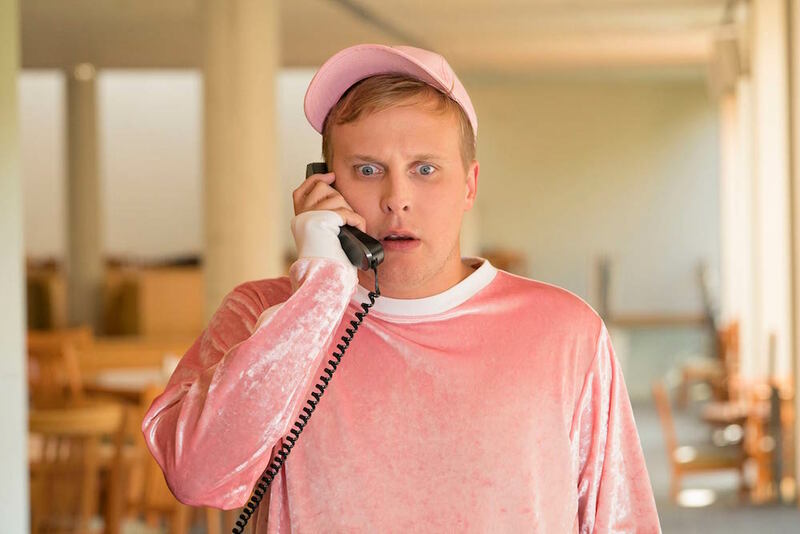 No, they didn’t off the woman they spent the whole season looking for, but Dory (Alia Shawkat), Drew (John Reynolds), Elliott (John Early), and Portia (Meredith Hagner) nevertheless found themselves on the run after murdering someone else during the investigation. Keith’s (Ron Livingston) death in the Season 1 finale threw a crazy twist at fans and sent their minds scurrying. With Chantal found and a man dead, what would Season 2 look like? What would be the TBS comedy’s new focus? Is there a fresh mystery to be solved, or will it be an entirely different show? Turns out, neither is true. Season 2 is the same savvy, searching series it was in Season 1; it’s just reversed the formula. The core four aren’t kids trying to solve a mystery anymore; they’re trying to keep a mystery from being solved. The hunters have become the hunted, and it turns out that works just as well. Dory and Drew, meanwhile, are suffering separately after her confession regarding the affair with Keith last season. Neither handle the stress of the split (combined with their new secret) well, and Drew’s journey is astutely set up to unveil how angry, hurt, and conniving he really is, especially in parallel with Dory. The two need each other and can’t be around each other; that’s great drama right there, and “Search Party” makes the most of it. “I guess I just miss when my problems were about nothing,” Dory says in the third episode. Such a desire should be a familiar feeling to a generation of viewers who identified with Dory’s search for meaning in Season 1. At times during her nagging quest to find Chantal, it felt like she was reaching for a story, like this pursuit had to mean something for her more than it needed to mean something for Chantal. Now, racked with guilt, Dory wishes her life was a bit more boring. She has panic attacks in the middle of a peaceful New York street. She can’t carry out mundane daily tasks without spazzing out. She is a person on edge, and, without saying it explicitly, all she wants is for things to go back to being boring. Dory wants her old life back, with Drew, her friends, and all its basic challenges (like finding a good job and making a meaningful difference). Without spoiling anything, Dory sees opportunities she would’ve jumped at a year ago. She’s given the chance to do things that, had they happened at a different time, perhaps would’ve left her fulfilled or inspired enough to ignore the dangerous distractions she found instead. In these subtle opportunities, “Search Party” seems to be taking note of an important fact of life: Dory doesn’t really want her old life back. She doesn’t want her new one, by any means, but the answer to her early-life existential crisis isn’t one extreme or the other. She doesn’t want her problems to be about nothing, and she doesn’t want them to be about something as serious as homicide. It’s the in between that’s so hard to find, and “Search Party” beautifully captures people still seeking that sweet spot. Right now, the group is on the wrong end of the spectrum, but the key piece of Tolstoy-penned evidence from a year ago is still guiding the series: “The pleasure lies not in discovering the truth, but in searching for it.” And this search is quite a pleasure. 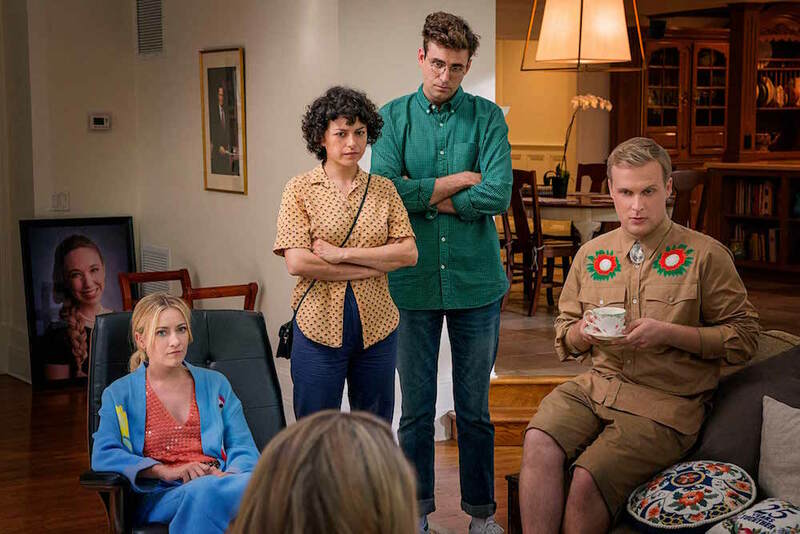 “Search Party” Season 2 premieres Sunday, November 19 at 10 p.m. ET on TBS.